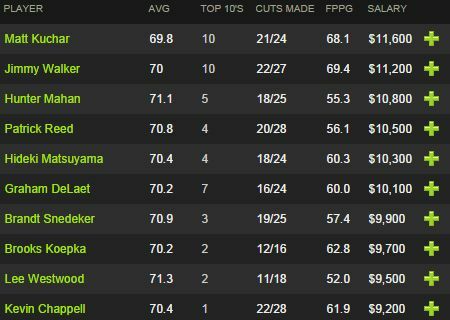 Something new we are going to start doing this season is Daily Fantasy Golf – for real money. We’re going to be doing this at DraftKings.com. 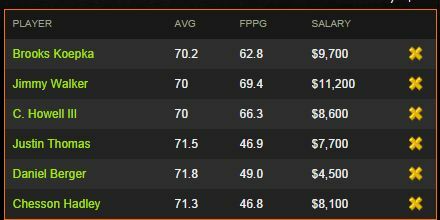 That’s only SOME of the many, many daily fantasy golfs available at Draft Kings. Now if you read our Frys.com Open Betting Tips you’d know we are struggling to make some good picks this time out. So with that, and this being new to us, we are going to enter the $15,000 guaranteed tournament which is just a $2 entry. It has a tiered prize pool. 1st gets $1500, 2nd gets $1000, and it goes all the way down to 1725th which gets $4.00. We get to pick 6 golfers, and we get points based on how well they do both per hole, and in the overall tournament. We also get streaks and bonus points. For example – a double eagle gets 20 points, an eagle 8 points, a birdie 3 points. If they get a double bogey it’s -1.5 points. If they have a streak of 3 birdies in a row, then we get 3 points for that in addition. You can see the full breakdown over at DraftKings.com. We have a $50,000 salary to play with. 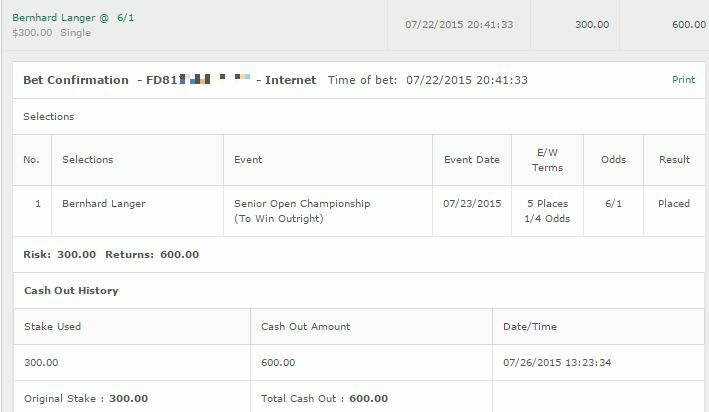 Now in our golf tips, we tipped Jimmy Walker and Brooks Koepka so obviously we will take them. Walker is $11,200 and Koepka is $9,700. That leaves us with $29,100 to play with, 4 golfers to pick, and an average salary of $7,275. Our next pick is Charlies Howell III at $8,600. He is priced at 40/1 at the bookies, and has made a lot of final cuts. As a finish of 50th and above is worth a point then he is worth the bet. He also has the capability to get a few streaks going. Unfortunately, that leaves us with $6,833 on average for the next three golfers. We’re going to go with Justin Thomas. This young buck is a whopping 66/1 at the bookies but he is a solid player who is always improving and he could just surprise us. He costs $7,700 which leaves us with $6,400 per player. Looking at players with low salaries, we’re going to pick Daniel Berger. Berger is probably not going to do anything – but if he can be a bit more consistent he could just surprise us. 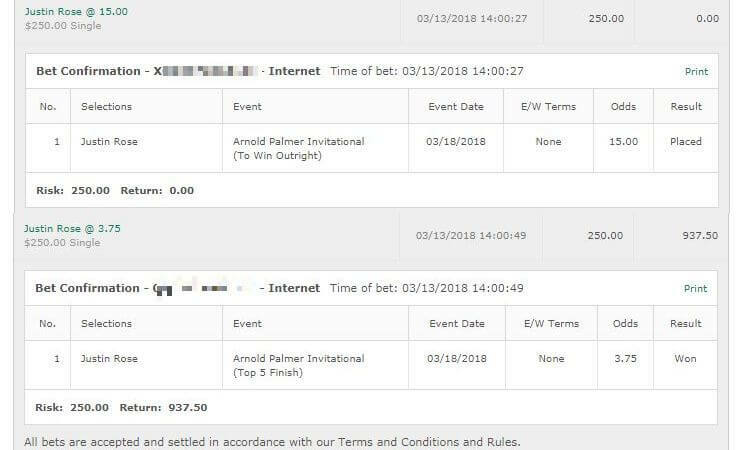 Either way, $4,500 is worth the risk and hopefully he doesn’t repeat his results at the US Open where he racked up 16 bogeys. 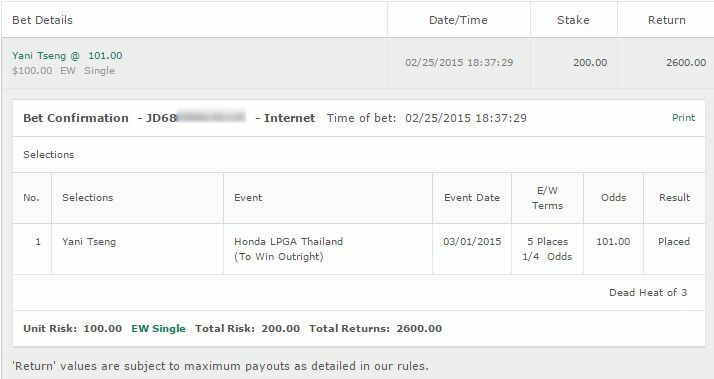 That leaves us with a healthy $8,300. PGA Tour Rookie of the Year Chesson Hadley is $8,100 so that’s perfect and we will pick up him. Join along or follow us at DraftKings.com.